This is a 1977 reprint edition by Unigraphic, Inc.
Ex-library with the usual markings. Has been little used, pages are very clean. 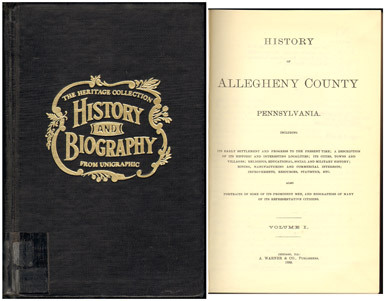 Includes history and thousands of biographies plus illustrations.